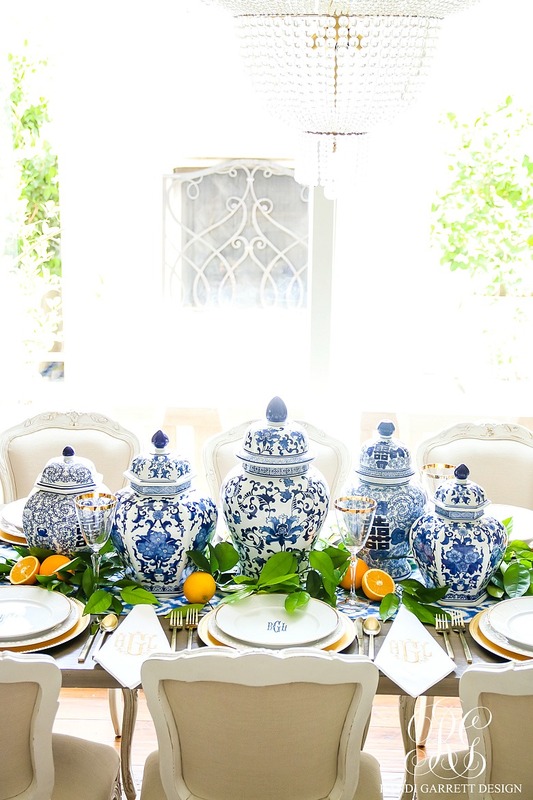 We all love a beautiful table setting and I’m always on the lookout for some inspiration. 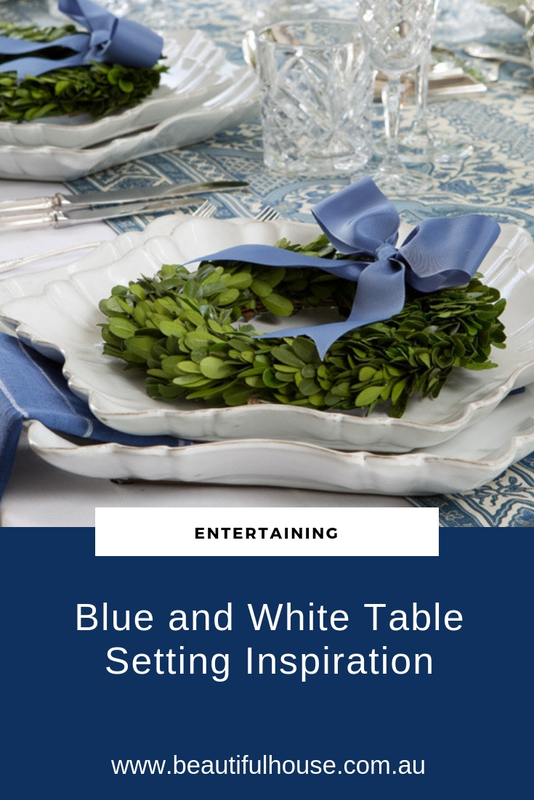 Whether you are planning for an event at home or looking to brighten up your winter, today I have some gorgeous blue and white table setting inspiration that you will love. 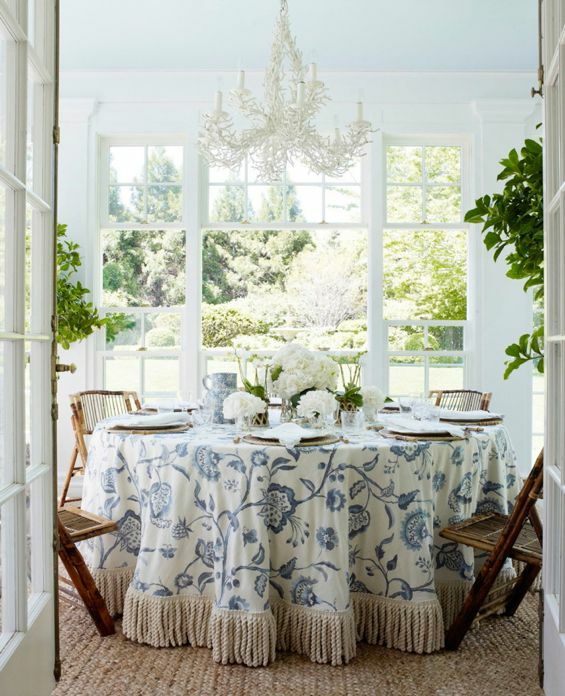 This beautiful setting above by Verandah House has all the right elements for a celebration. I find myself not only using my small boxwood wreaths for Christmas, but also for any other special occasion. They are perfect for adding a bit of green foliage to your table. 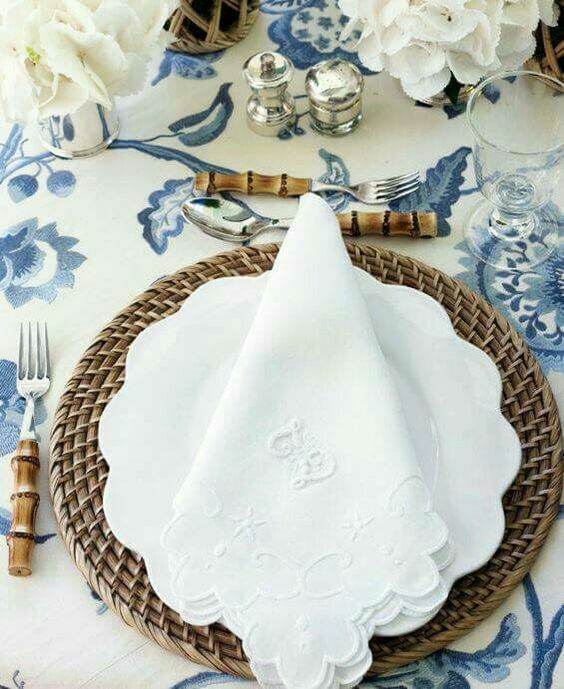 The Aerin Lauder collection from Williams Sonoma above has been beautifully styled by Citrine Living. 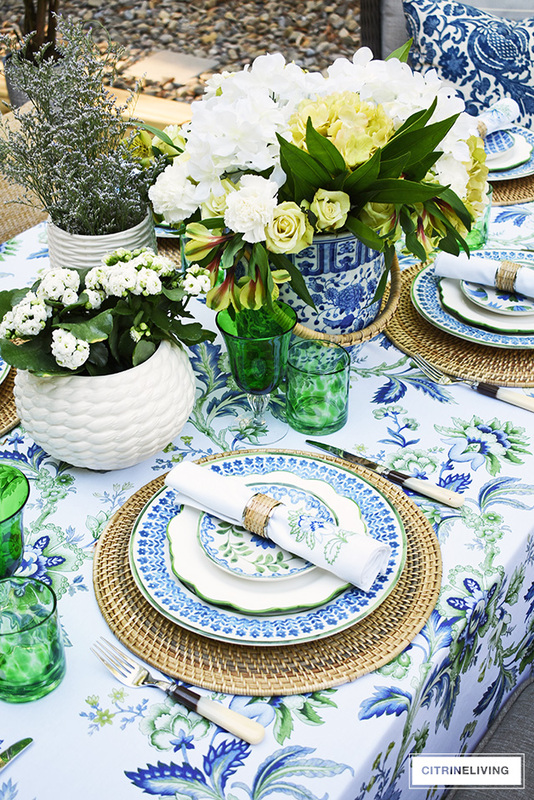 The green with the blue and white really makes for a vibrant and stunning table setting. 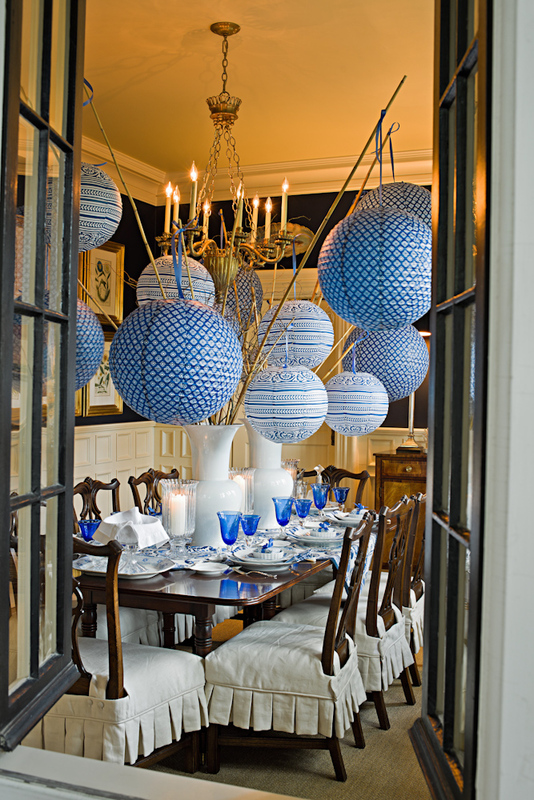 The blue and white lanterns set a festive mood for this gorgeous table setting. 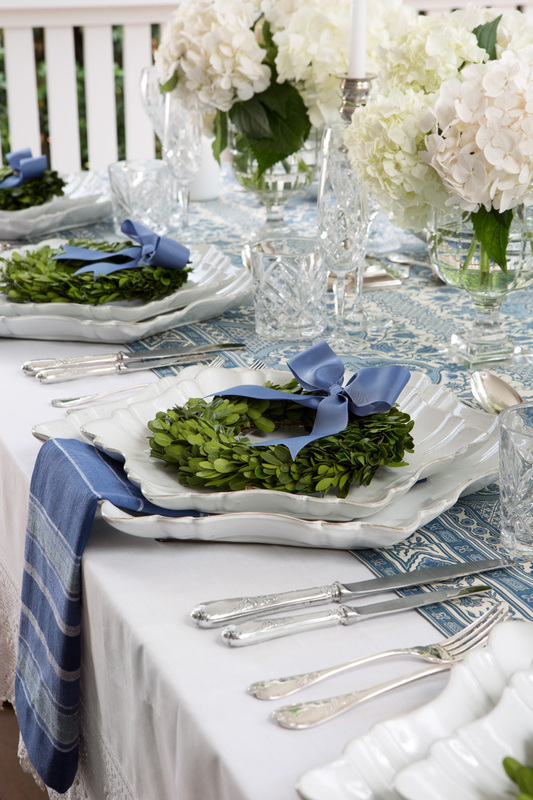 From the pleated chair covers to the blue stem glasses. A perfect setting for an intimate celebration. Creating a beautiful table setting is so much fun, I love to mix and match old and new pieces together and add in a natural element with some beautiful flowers from the garden or your local florist. Which is your favourite setting?